Community conversation Project has taken off in the Nzema East and Ellembelle districts. Dubbed “Improving Community-Government-Power, Oil & Gas Companies Relationships through Participatory Engagement Processes to Enhance the Living Conditions of the People of Nzemaland”, it is being implemented jointly by Hen Mpoano and United Civil Society Organizations for National Development (UCSOND). It is the second phase of a similar project implemented in 2015 by the two organization under a partnership. The second phase started in June, 2016 and is scheduled to end on November 30, 2016. It is sponsored by UK-DFID and managed by DAI with the Western Region Coastal Foundation serving as the Dialogue Secretariat. The overall objective is to bring about stability through dialogues among oil, gas and oil companies and host communities. 1. 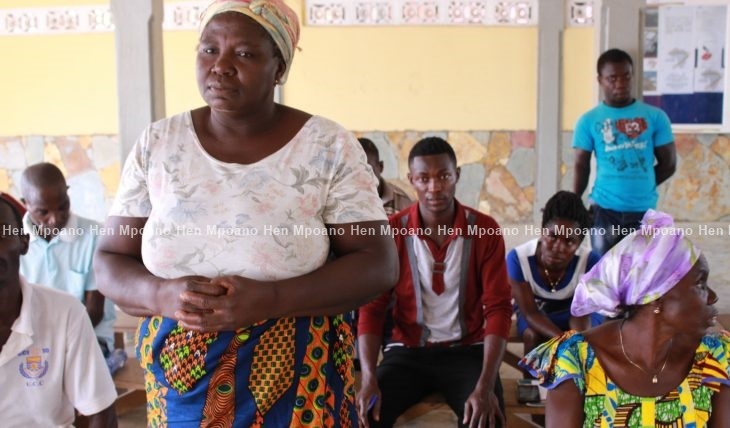 Community members empowered to take collective decision/action using participatory local dialogue around power, oil and gas issues in Nzema East and Ellembelle districts. 4. Trust built to enhance relationships among power, oil and gas private sector, communities and government. The project expects to reach over 100,000 people with information relating to oil, gas and power production in the two districts. So far eight facilitators and 150 community volunteers have been recruited and trained to implement project activities.